By simply coating your normal brake caliper kits with these Covers, your car will instantly appear as if a luxury modification has been done to the brake system! Besides upgrading the appearance of your tyres to that of a sports car, the Covers act as shields that effectively reduce the dust build-up on the normal calipers. Material:5D carbon fiber(NOT real carbon fiber ). front door：60 6.8cm & rear doorD 40 6.8cm. Applicable Car:Universal（Can be cut）. Otherwise deal is final. All products are quality checked. In rare case, it can take up to 5-8 weeks. 1x PDR Pump Wedge. 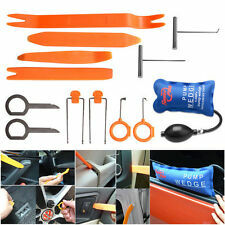 Open Pry Tools Kit ----With the air wedge, you can adjust and level furniture. ----The air wedge can even be used as an effective door stopper. Hook tools kit. This removal installation tool can prevent your car from scratching and damaging. Solar Panel Type: Single Chip Solar Panel. Solar charging, could light up by pressing and vibration. 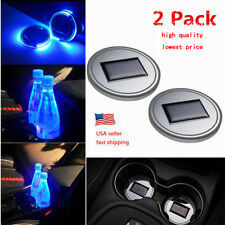 If you have ever had trouble finding your cup holder when driving in low/dark light conditions then this Led cup holder light can be a great solution for you, and this decorative mat can make your car cup holder looks cool and great. Suitable car models:Universal. We will try our best to reduce the risk of the custom duties. 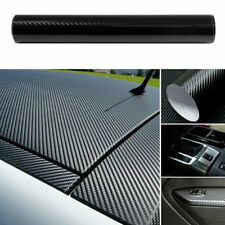 US Car Accessories 5D Carbon Fiber Vinyl Wrap Black Sticker Glossy Decal 12x60". 4 out of 5 stars - US Car Accessories 5D Carbon Fiber Vinyl Wrap Black Sticker Glossy Decal 12x60"
22 product ratings22 product ratings - US Car Accessories 5D Carbon Fiber Vinyl Wrap Black Sticker Glossy Decal 12x60"
2 Pairs(1 Pair for front brake and 1 Pair for rear brake). Note: Products has logo itself,but don't show in the pictures. Color: Red. Easy Install with Silicon Glue (Silicon Glue isn't included ). Made by High Quality Plastic. 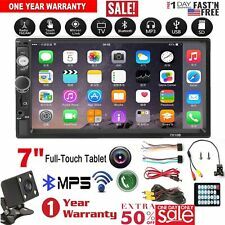 7 Inch Car HD Touch Screen Player Double Bluetooth Car MP5 Radio Machine Rear Camera Feature: 7 inch big HD touch screen 1080P movie player Bluetooth FM/MP5 USB port /TF card slot Aux Input Rear view camera input support a rear view camera This car radio MP5 player is NOT included any memory card, and can NOT play the DVD CD player. 1. 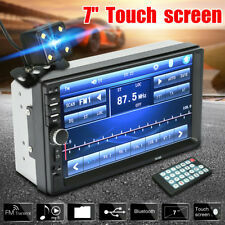 7 inch 2 din HD car radio player with digital touchscreen. 2. 1080P high resolution movie player. 3. Support Bluetooth and hand free function. . Description This item set is made with premium material for durable use. It is great for door trim, radiator shield & splash shield retainers for Ford, GM & Chrysler. It covers 6.3mm to 10mm hole sizes for exact OEM replacement of broken retainers. 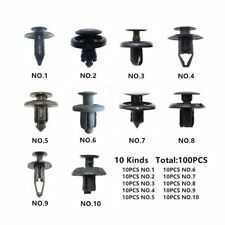 12 Type Rivet: The plastic rivets are suitable for Mercedes Benz, BMW, Toyota, Honda, Subaru, Nissan, Mazda and so on. Not Only for the cars we mention, if the sizes and shape meet your requirement, it also works well.. 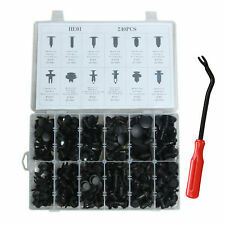 Feature: 240pcs Car Rivets Clips Removal Tool Kit is perfect for car. Widely used for car body clips, trim panel retainer, door trim fastener, door panel clips, bumper clips, Fender clips, engine cover and splash shield retainers replacement. Fits for most brands, such as for Mercedes Benz, for BMW, for Toyota, for Honda, for Subaru, for Nissan, for Mazda and so on. 12 kinds of different types to meet your need. The fastener removal tool can remove rivets easily and quickly. Item Condition:100% Brand New Rivets Material:Plastic Rivets Color: Black(As Pictures Show) Package Includes 240 Pcs Automotive Push Type Retainer Kit (12 differnt sizes ) a nice plastic Storage Box 1 Remover Tool. Carbon fiber texture is shiny and shiny. Material: Rubber /Carbon fiber. 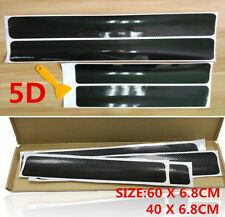 1Pc 3cm X 100cm Car Carbon Fiber Sticker. High-quality material protective layer, anti-scratch, protect the trunk door sill from scratches. 5X Car Floor Mats All-Weather Universal 5 Seats Car FloorLiner Carpets Set Black. The safest car floor mat, cover perfectly 5pc mat for 5 seats car. 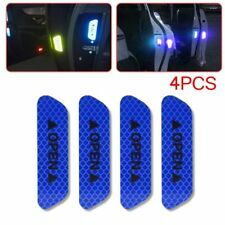 ----5pc Floor Mats. Almost suit for all 5 seats left hand drive car. Description These clips fasteners are made of Plastic material, suitable for car use. Cars good accessory, commonly used for fitting side skirts, bumpers and other trim. 100% Brand new and Good quality Push Type Retainer Kit came with a nice plastic box for easier to pick a type of retainer that you want to use. Save yourself time and money.No need to go to a auto parts store and look for different fasteners.We have them in box for what you need. Need not worry about lost or damaged body fasteners.All the necessary retainers for exact replacement of old and broken retainers. Super cool aluminium alloy valve cap. Aluminium alloy material with anti-leak rubber inner ring. Solve any problems with you in friendly way after communication. Useful pry tool for safely removing and installing car audio,exterior and interior trim,dash,door panel avoid scratching your car. Quantity: a set car panel removal tool (include 4pcs). 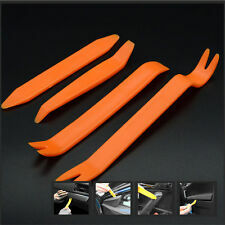 4 x Car Panel Removal Tools. 4 x white Car OPEN Reflective Tape. Color: white. Universal Fits All car models. The color may have different as the difference display, Pls understand. Adhesiveness is better, not easy to fall off. 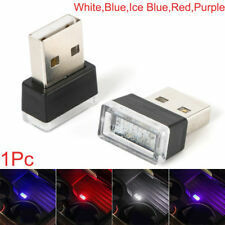 Type: USB LED Lamp. Flexible body, suitable for many place and occasions such as bedside, desk, indoor and outdoor, just plug and play, easy to use. Soft shade to avoid the direct LED light shine for effective eyesight protection. Style: Bullet. Material: Aluminum. Made of High Quality Lightweight Aluminum Material. 1 x Screwdriver tool. 330 x Car Plastic Rivets Fasteners. For GM Replace s 1595864,1605396. For GM Replace s 10185925. For Ford Replace s 388577S. For Ford Replace s W705589-S300. For GM 1977-On. For GM Replace s 1631564. 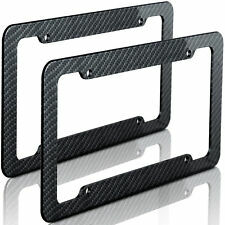 Surface Finish: Carbon Fiber Look. Universal modified side skirt for most car types. Side Skirt Length: 74.5cm/29.33". Position: Side Skirt Extension. Type: Car Body Side Skirts. No block to the front ground clearance, effectively enhance the side extension. 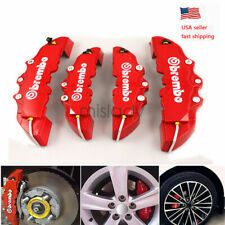 Fit For BMW X1 X3 X6 5/1/3/7 Series E70 E83 E84 E72 F25 F15 E71 2009-2017. Car Door Sill Scuff Plate Auto Threshold strip Car Slim Pedal for BMW. 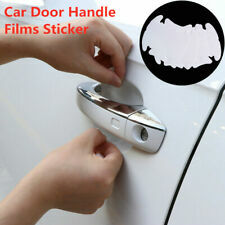 Purpose: decorative and protect your car door. We try our best to make you get desired products as soon as possible. LED indicator light; blue led light display screen,red light shows the number. Type: Keychain. Quantity: 1Pc. Skull Height: 5.6cm/2.2"(Approx.). Skull Width: 2.5cm/0.98"(Approx.). 1 x Key Chain. Material: Rubber Alloy. Color: Gray. Fits For All Car Model. VERY WELL MADE BADGE EMBLEM! The boxes not including Black White Carbon Fiber Look As Picture Showed. Fit For BMW Vechiles. 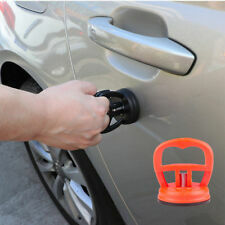 Product: Universal Car door lock screw protector. 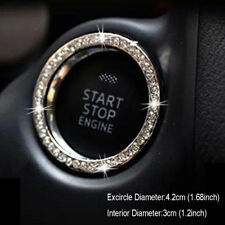 Protect your car door screw away from rusty and beautify your lovely car. Non-slip design: frosted surface provides solid and secure support for you standing on car doorstep folding ladder. Easy access to car roof: car door step made of aviation aluminum alloy. Compatible with most kinds of car,such as SUV ,jeep or RV ect. This Car Door Handle Protector Sticker Universal fit and compatible with the door handle shape as ad photo shown,100% new and high quality. It is easy to install, clean door handle/cup area. Make sure there is no dirt before you apply. Package Includes: 730 Pieces Clips 1 Plastic Box Description: 100% Brand New Items, Never Used Or Installed Material: Nylon 17 type plastic rivets for your choice. Fit for many brand vehicles,such as BMW, Ford, Toyota, Honda,Benz and Mitsubishi Motors. Great for Door Trim, Car Fender, Bumper, Side Skirt, Radiator Shield, Splash Shield Retainers They can be used on buses, trains, planes, truck, caravans and cars Comes with a case for convinient carrying and safe storage suitable for firmly holding anything within a suitable hole . 1x100 Pcs Automotive Push Type Retainer Kit (6 differnt sizes ). Cars good accessory, commonly used for fitting side skirts, bumpers and other trim. Universal fit and compatible with the door handle shape as ad photo shown. Clean door handle/cup area. Make sure there is no dirt before you apply. We will try our best to reduce the risk of the custom duties.